Huawei technologies, has recently introduced its Talkband B2 in the Pakistan’s gadget market. This smart band has received a warm welcome from the gadgets lovers who are keen on making their daily smart life even smarter and efficient. 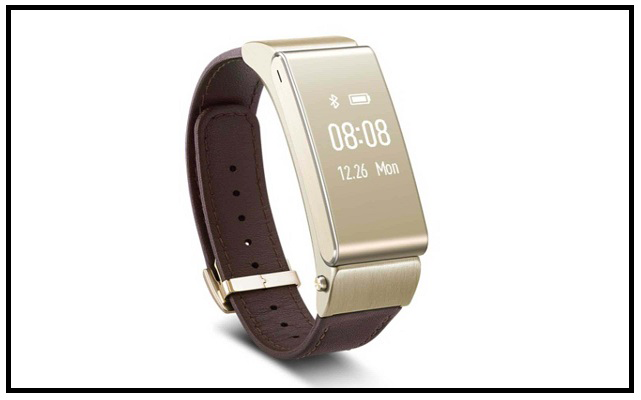 Huawei has devised this Talkband to help make the daily routines of its users smarter and elegant. The design of Talkband B2 has been improved quite a lot, it is more comfortable and easy to wear on daily basis and the classy appearance makes it strikingly eye-catching. With an efficient 0.73 inch Touch screen this device is single button control and the main body of this Talkband can be detached quite smoothly by pressing two buttons, on the either sides. Talkband B2’s screen shows noticeable figures; an additional feature is that when not in use, the screen becomes totally invisible, making this Band look like a stylish accessory. By removing the rectangular part this Talkband can be used as Bluetooth device, you can attach a rubber part, available with the band and adjusting it in your ear. The Talkband is very easily manageable with the smart phone with which it is attached and provides an unhindered office routine with heavy load of work and official calls. This smart band can detect what type of exercise is being done and helps by counting your steps, distance covered and calories burned etc and serve as the best “FITNESS TRACKER”. To add to the rich features list of this Talkband, it can also help you to locate your smartphone, in case you forget where you have put it. Use your Talkband’s incredible Phone finding feature which notifies your phone to ring, in such situation, so that you can locate it. This device has another catchy feature which makes it more pleasing, you can use this Talkband for the purpose of capturing pictures through your smart phone’s camera, with which you have synced this Talkband. You can capture great Selfies, Groufies and Long Exposure Shots by using the Talkband, especially those pictures which require your camera to be perfectly still.